Camp Pinecrest began its 21st year on Thursday, June 22, as 59 staff and 57 campers gathered for staff orientation. Campers enjoying the first dance at Camp Pinecrest. The next morning after orientation the day began with a steady rain, but the rain cleared by mid-morning, allowing the staff to set up for activities. On Friday afternoon, the remaining campers arrived, met with their counselors and dorm mates, and then received orientation presentations from the camp director, the camp nurse and the staff team. After orientation everyone went to the dining hall for dinner and then played get-acquainted games. As the day ended, dorm parents began their daily, evening visits with the dorms. There were 59 staff members and 90 campers present (46 ladies and 44 gentlemen). This was the largest number of campers in attendance since 2010. Interestingly 42 of the 59 staff were past staff or Pinecrest campers. It is especially heartening to see campers from past years maturing so they can serve on the staff. Having a group of dedicated individuals who know their jobs and are service minded helped to establish a solid foundation for a successful camp. This year the decision was made to provide more counseling staff. Three counselors were chosen for five of the six dorms to lessen the pressure on the counseling staff and to give training for future head counselors. The rain at the beginning of the week provided a great blessing for the week. The temperatures were mild ranging from the 50s at night to about 90 during the day. Saturday morning, after breakfast, the campers and staff enjoyed a Bible study titled “Why a Relationship With God?” presented by Gary Smith. The study was followed by an ABC presentation and a Sabbath hymn sing. A leisurely Sabbath continued with services at 2:30 p.m. Split sermons were given by Jay Ledbetter and Randy Urwiller, serving to introduce the Christian living theme that focused on the importance of establishing a relationship with God. The Sabbath activity day ended with six Bible challenges. Each dorm had to solve a Bible quiz, identify Bible mad gabs, indicate what biblical events are pictured, put together puzzles portraying God’s creation, solve Bible crossword puzzles and draw clues in Bible Pictionary. With a positive Sabbath concluded, the activity week began on Sunday. Each day began with a Christian living class for all campers and staff. With a spiritual foundation established, dorms proceeded to the activities. Regular activities were enjoyed and included riflery, archery, ropes, softball, speedaway, journalism, rock climbing and rappelling, volleyball, pickleball and ultimate Frisbee. A new activity introduced this year was dance. The dance class was well received and will be back in 2018. Each evening after dinner, a different activity was offered. 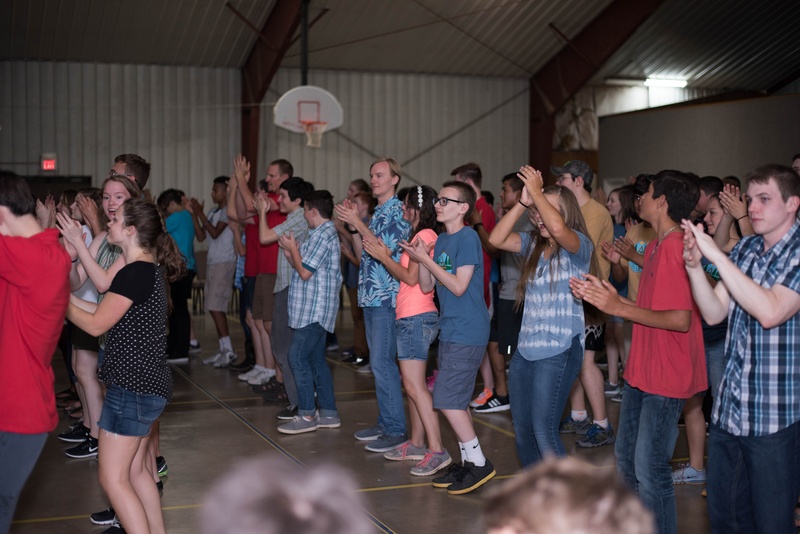 Campers and staff enjoyed a first dance, a novelty Olympics, a Q&A Bible study covering camper questions, a fun show and, to cap off the week, an awards ceremony followed by a final dance. The week at Camp Pinecrest came to a close on Friday, June 30, as everyone checked out and headed for home by 10 a.m. It was a spiritually profitable and fun week for all.